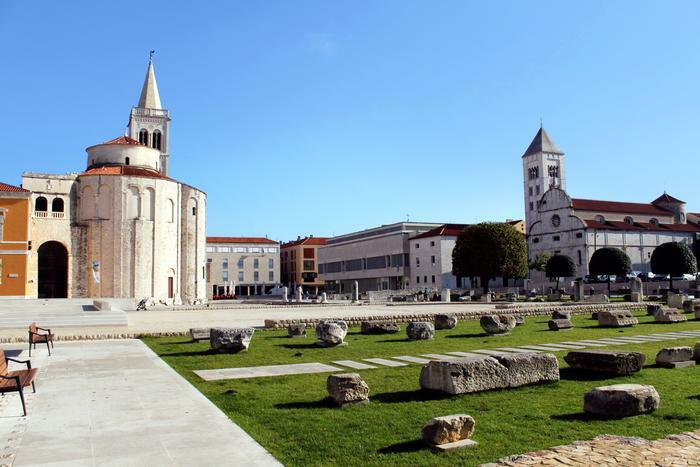 Zadar, a Dalmatian town that joins Roman past and modern installation in its public places on the picturesque peninsula , is turning into a real tourist hit destination. That Zadar, that cherishes its valuable heritage such as Romanesque churches or Roman Forum, also does not forget to look towards future, and by encouraging the artists to intervene in public space, organizing interesting events and improving town's night life, making the number of visitors increase each year. Last year's score of almost 8 million tourists motivated Zadar to exceed that impressive number in season 2011. That is why Zadar Tourist Board plans to participate in 50 fairs all over Europe to present the latest offer of this Dalmatian town and promote it on the less known markets. That is why Zadar will be presented in Ukraine for the first time, and it will continue with its presentation to its traditional guests from Czech Republic, Slovakia, Hungary and Italy.